First, we express appreciation to Dr. Ford for his many years of diligent service for the church. We recognize his talents as a teacher and preacher. His ministry has stimulated the minds of thousands of students and believers. His wealth of knowledge and personal life style have been the source of blessing for many. We gratefully acknowledge the author's deep concern that our presentation of the sanctuary doctrine be done in such a manner as to "recommend it to the best minds of non-Adventists, as well as our own people, and be able to survive the most searching scrutiny" (p. 5). We further acknowledge that his manuscript has encouraged a deeper and more careful examination of the Biblical foundation for our traditional view of the sanctuary doctrine. 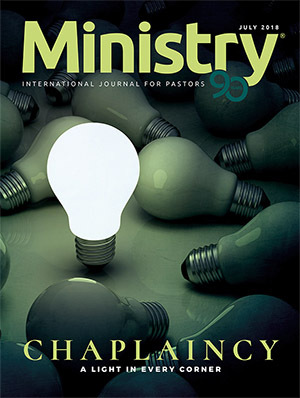 However, while we have gladly and with good intention stated some of the positive aspects of the author's ministry, we must in fairness state that some of his activities have been neither a source of strength nor in the best interests of our church. 1. Methodology. We recognize the enormous amount of time and energy the author has invested in his document, which with appendixes constitutes a sizable work of nearly 1,000 pages. How ever, because of the size of the manuscript, with its numerous footnotes and references, which will be impressive if not coercive to many readers, we feel it imperative to make a statement on its accuracy. After a preliminary examination of the author's use of references and sources, we find that in various instances they have either been taken out of context or used indiscriminately and thus not in harmony with the quoted writers' original intent. This is true of both secular and Spirit of Prophecy statements. 2. The Day of Atonement in the Book of Hebrews. In his position paper, Dr. Ford asserts emphatically that the Epistle to the Hebrews teaches that the risen Christ, by virtue of His own blood or sacrificial death, entered into the heavenly Most Holy Place at His ascension (pp. 187, 195). The cleansing of "the heavenly things" mentioned in Hebrews 9:23, he also believes, applies only to the initial New Testament period (pp. 169, 191). 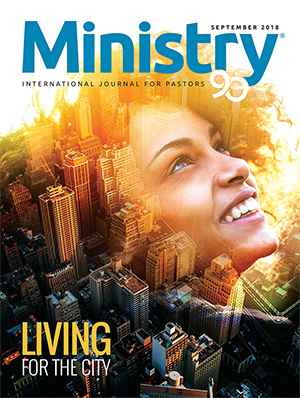 The Day of Atonement sacrifice, as well as the other Levitical sacrifices and the high priest's entrance into the Most Holy Place, finds fulfillment, according to Ford, in Christ's death and ascension into the presence of God (p. 253). Christ, then, as the high priest at God's right hand, has opened up a new access and center of worship for the people of God (p. 244). 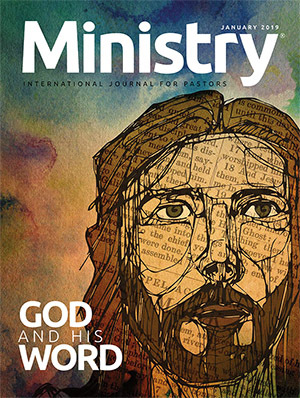 Ford declares that he can find in He brews no allusion to Daniel (p. 169) or any reference to a two-phased ministry of the risen Christ (p. 163). He does affirm, however, the reality of the heavenly sanctuary (p. 240). There is basic agreement that Christ at His ascension entered into the very presence of God, as symbolized by the earthly high priest's entrance on the Day of Atonement. There is also general acceptance that neither Daniel nor a two-phased ministry are referred to in the Epistle to the Hebrews. 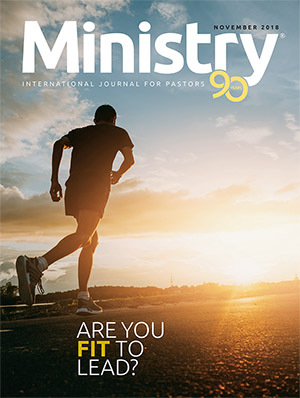 But we do deny that His entrance into the presence of God (1) precludes a first-apartment phase of ministry or (2) marks the be ginning of the second phase of His ministry. 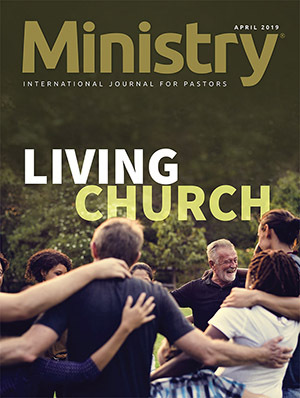 Ford believes that the heavenly sanctuary intercession of Christ finds a providential crisis in what he understands to be the rediscovery of the gospel through a new appreciation of sanctuary symbolism (p. 260). This rediscovery he relates to the 1844 movement and the visions of Ellen G. White (p. 260). However, Ford denies that Christ's heavenly ministry climaxes in the initiation of a judgment-intercession, beginning in 1844 (pp. 595, 261). Ford does believe that the Day of Atonement imagery finds fulfillment in judgment—even pre-Advent judgment—in the book of Revelation (pp. 449, 650). This latter, however, is a declaration at the close of Christ's heavenly intercession just before the Second Ad vent; it is not a heavenly judicial process beginning in 1844 (p. 595). The proclamation that providentially began in 1844 refers, in Ford's opinion, only to the believer's present decision of faith and the future pre-Advent judgment, but not to a present judicial process in heaven (pp. 652, 260-261). This is an unwarranted reduction of Adventist belief. 3. The Phrase "Within the Veil" as Found in Hebrews 6:19, 20. We ac knowledge the insights in Dr. Ford's study of the letter to the Hebrews; how ever, we disagree with the theological implications he draws from the phrase "within the veil." 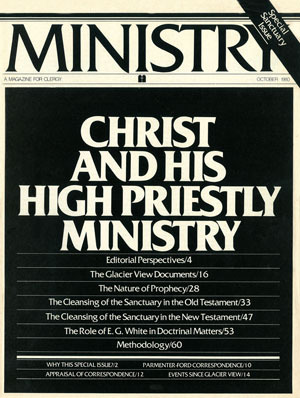 We do not believe that the phrase was intended to mean that from the time of His ascension Christ has been engaged in a ministry equivalent to that which the Old Testament high priest performed once a year in the second apartment of the tabernacle on the Day of Atonement, to the exclusion of the daily phase of the priestly ministry. "Within the veil," we believe, was intended to convey the conviction that, since Christ's ascension, we have full, free, and direct access to the very presence of God. The Old Testament believer had limited access to that presence by means of the high priest, who entered with fear and with limited effectiveness the Most Holy Place of the earthly tabernacle once a year. Since our Lord's ascension the believer has had full and free access to the presence of God through Christ. Through His sacrifice on the cross He has opened a new way to the presence of God so that we have continual and confident access to Him. "Within the veil" refers to this symbolic picture of the presence of God in a first-century application of the Day of Atonement imagery rather than the antitypical fulfillment of the Old Testament mediatorial ministry in the heavenly sanctuary, which the letter to the Hebrews neither teaches nor denies. 4. Year-Day Principle. While Dr. Ford professes a belief in the year-day principle as a useful tool of Biblical interpretation, we regret that he does not see fit to apply the principle to the time prophecies of Daniel. He operates with the presupposition that all Old Testament prophecies were to be fulfilled by the first century A.D., which prevents him from using the year-day principle. Dr. Ford believes that the year-day tool became a providential discovery "after the Advent hope of the early church had faded away" (p. 294). But coupled with his uncertainty regarding the use of the year-day principle is his uncertainty regarding the dates for the beginning and ending of the time prophecies of Daniel (pp. 320, 321, 344). Because Ford believes that the year-day principle was not God's original intent for Daniel's time prophecies, he believes its present use, in harmony with God's "providential" arrangement, should not be with punctiliar precision. We believe, however, that the year-day principle is a valid hermeneutical tool and called for by the context containing the time prophecies. When the context relates to historical narrative with literal people, literal time periods are used in Daniel 1, 3. 5. and 6. In the apocalyptic passages, when time periods accompany symbolic figures, it is natural and appropriate to expect those time periods also to be symbolic in nature. Numerous other reasons help the prophetic interpreter to distinguish between literal and symbolic time. We further believe that all of the apocalyptic prophecies in which time elements are found have stood the pragmatic test. That is, their predicted events did occur at the intervals expected, ac cording to the application of the year-day principle. In reference to Daniel 8:13, 14, we believe that the context requires the use of the year-day principle, and thus a fulfillment beginning in 457 B.C. and ending in A.D. 1844. We thus reject Dr. Ford's assertion that Daniel 8:14 "applies also to every revival of true religion where the elements of the kingdom of God, mirrored in the sanctuary by the stone tablets and the mercy seat, are proclaimed afresh, as at 1844" (p. 356). 5. Apotelesmatic Principle. Dr. Ford uses the apotelesmatic principle to affirm that "a prophecy fulfilled, or fulfilled in part, or unfulfilled at the appointed time, may have a later or recurring, or consummated fulfillment" (p. 485). In short, by his usage of this hermeneutical principle, Dr. Ford is able to accept multiple reinterpretations and ap plications of prophetic symbols and statements. Almost a corollary to this principle is the author's borrowed axiom: "All are right in what they affirm and wrong in what they deny" (p. 505). We reject the use of this axiom, whether explicit or implied, because with its use no positively stated assertion could ever contradict another positively stated assertion. With this guiding axiom coupled with the apotelesmatic principle, the author says that all prophetical interpretations by all four prophetical schools preterists, historicists, futurists, and idealists—are correct (ibid.). When he applies the apotelesmatic principle to Daniel 8:13, 14, we discover that the original meaning or purpose of these verses should have been fulfilled sometime after the postexilic restoration. If the Jewish nation had been faithful in proclaiming the gospel, and thus preparing the world for the Messiah, ''that Messiah would have been con fronted at His coming by the eschatological tyrant Antichrist ('little horn'). Antichrist would have been successful in his initial warfare against God's people and truth for 2300 days, but then Christ would have brought him to his end, with none to help him. Having broken Antichrist 'without hand" the kingdom of the Rock of Ages would have become God's holy mountain filling the whole earth for eternity" (p. 485). In this brief scenario, Dr. Ford has interpreted, by means of the apotelesmatic principle, Daniel 2, 7, 8, 9, and 11. He could do it only by denying the year-day principle and the historicist method of interpretation. However, though Israel was not faithful, the "main idea" of Daniel's prophecies would yet be fulfilled "in principle" in later events (ibid.). Thus, the "little horn." for example, would be fulfilled in Antiochus Epiphanes, in pagan Rome, in papal Rome, and in Satan's manifestation just before and after the millennium. Each of these entities would experience judgment and be destroyed with none to help them, thus "fulfilling" "in principle" the intent of Daniel's prophecies. "These successive judgments were predicted by 'then shall the sanctuary be justified.' Every era of revival of the truths symbolized in the sanctuary may claim to be a fulfillment of Daniel 8:14" (p. 486). Although we recognize the possibility of more than one fulfillment (when the context requires it or when a later inspired writer makes the application), we must reject Ford's usage of the apotelesmatic principle, because it lacks external control. Any principle of interpretation that permits any prophecy to mean many things is not a helpful tool. 6. Use of Sadaq in Daniel 8:14. The niphal use of the root sadaq in Daniel 8:14 is unique in the Old Testament. Though the basic meaning of the root sadaq is "to be right," "to justify," "to restore," the semantic range of this root includes the meaning "to cleanse." This is evident from (1) the use of sadaq with taher("to cleanse," "to purify"; e.g., in Job 4:17) in synonymous parallelism and zakah ("to cleanse," "to purify"; e.g., in Job 15:14), (2) the translation of sadaq in several versions, and (3) the hithpael use of the root sadaq (the hithpael, like the niphal, is passive or reflexive) in Genesis 44:16. Though Ford, in a number of places in his document, allows for the translation of sadaq in Daniel 8:14 as "to cleanse" (p. 348), he also remarks categorically in his listing of the church's assumptions for its interpretation of the sanctuary: "That 'cleansed" is an accurate translation in Daniel 8:14. (Though this is certainly not the case)" (p. 290, italics ours). While we agree with Ford that there does not appear to be an explicit verbal link between sadaq of Daniel 8:14 and Leviticus 16, it seems that he does not give due weight to the meaning "to cleanse" (which we consider justifiable in the context of Daniel 8:9-14) and the possibility of a relationship with Leviticus 16, particularly in the light of the common ideas between the two pas sages. 7. The Relationship of Daniel 7, 8, and 9. Dr. Ford claims that Daniel 9:24-27 (the 70-week prophecy) parallels Daniel 8:14 (the 2300-day prophecy) rather than being a segment of the 2300-day prophecy (p. 403). He further suggests that both chapters 9:24-27 and 8:14 parallel Daniel 7:9-14 (court scene in heaven) (pp. 368-376). While the apocalyptic time prophecy of Daniel 8 basically parallels that of Daniel 7 (as well as Daniel 2), it also amplifies Daniel 7 considerably. The prophecies of Daniel 2, 7, and 8 began with either Babylon or Persia and take the reader to the end of human history (the eschaton). However, we do not find the argument valid that Daniel 9:24-27 parallels both Daniel 7 and Daniel 8:14, since the time and subject matter of these passages differ. 8. Antiochus Epiphanes. Regarding the little horn of Daniel 8 and its parallelism in Daniel 11, Dr. Ford holds that "only Antiochus Epiphanes fulfilled the chief specifications of Daniel 8's little horn, and the vile person of Daniel 11. All other fulfillments, such as pagan and papal Rome, are fulfillments in principle rather than in detail" (p. 469). As far as Rome is concerned, he af firms that "all attempts to make Rome the first and major fulfillment of all the specifications of the little horn ignore both the symbolism and the interpretation" (p. 383, italics his). On the contrary, we believe that while Antiochus Epiphanes bears some resemblance to the description of the little horn, pagan and papal Rome fulfill the specifications of this prophetic symbol. 9. Saints in Judgment. 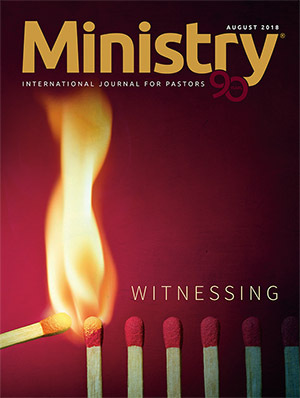 In the context of a discussion of the judgment of Daniel 7, Dr. Ford's claim that "the Son of Man judges the little horn and delivers the beast to the flames" (p. 365), his stress on the judgment of the little horn, and his contention that in Daniel 7 "unbelievers, not believers, are the 'eye' of that storm (i.e., the judgment)" (p. 369) are all dubious. Nowhere in Daniel 7 does the "Son of Man" judge either the little horn or the beast. While it is true that the little horn power, which receives punishment as its reward, is judged indirectly in Daniel 7, it also is clear that God's people, who receive the eternal kingdom after the judgment has sat, are all judged worthy of the ultimate covenant blessings. Both the apocalyptic sections of Daniel (chaps. 7:21, 22 and 12:1-3) and the historical chapters depict God's people on trial (e.g., chapter 1, where the Hebrew worthies are on trial; chapter 3, where Daniel's friends are tested; chapter 6, where Daniel is tried). The judgment reveals those who have retained their intimate covenantal relationship with God. The motif of the judgment of God's people is further supported in numerous instances within classical prophecy. 10. The Role of Ellen White in Doctrinal Understanding. One cannot be a Seventh-day Adventist very long and not recognize that our theology is shaped to a significant degree by the ministry of Ellen G. White. Her philosophy of history as reflected in her "great controversy theme" and her concern for the development of the whole person are but two examples of insights she has provided that have helped to illuminate the Scriptures and to foster serious Bible study within the church. This means that Seventh-day Adventists recognize in Ellen G. White an authority in doctrine and life that is second only to that of the Scriptures. She was not, nor ever pretended to be, an expert in Biblical languages or in other technical disciplines related to Biblical interpretation. Yet, as her understanding grew under the inspiration of the Holy Spirit, she provided counsel for the church that has helped it to confirm light found in the Word of God and to avoid doctrinal errors that threatened its very existence. The Seventh-day Adventist Church holds the writings of Ellen G. White in the highest regard as a source of doctrinal understanding. 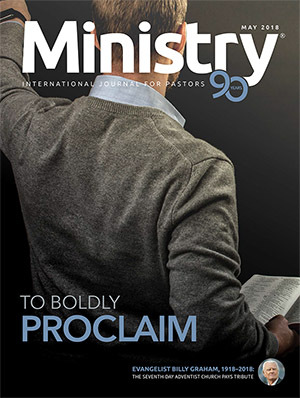 For these reasons we believe that some of Dr. Ford's statements regarding Ellen G. White's ministry to the church in doctrinal areas will be misunderstood. Some Adventists have inferred that in Dr. Ford's view Ellen White's authority does not extend to doctrinal issues. On this point the Seventh-day Adventist position is that a prophet's authority cannot justifiably be limited in this way. "Critique of 1844 Re-Examined, "by P. Gerard Damsteegt. 48 pages. $1.25. The Seventy Weeks of Daniel 9:24-27, by Gerhard F. Hasel. 45 cents each; ten or more, 35 cents each. Glacier View Papers: "Apocalyptic Prophecy: A Brief Introduction to Its Nature and Interpretation (With Special Attention to Daniel and Revelation)," by Kenneth A. Strand. 22 pages. $1.00. "Blood and OT Sacrifice: Cleansing and Defilement by Blood," by Gerhard F. Hasel. 24 pages. $1.00. "Daniel and the Judgment," by William H. Shea. 461 pages. $6.00. "Exegesis of Selected Passages of He brews 8 and 9," by A. P. Salom. 39 pages. $1.00. "The Ministry of Christ as High Priest in Heaven: Some Suggestions Toward a Theology of the Sanctuary," by Fritz Guy. 24 pages. $1.00. 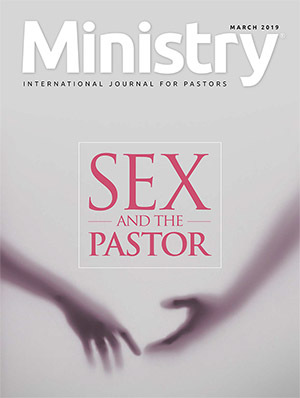 "Relationship of the Ellen G. White Writings to the Bible on the Sanctuary Issue," by P. Gerard Damsteegt. 51 pages. $1.00. Set of six Glacier View papers: $8.00. Post-Glacier View Manuscript: "Apotelesmatic Principle, The," by William H. Shea. 44 pages. $1.00. Order from: Biblical Research Institute, 6840 Eastern Avenue NW., Washington, D.C. 20012. "A. L. White Comments on the SDA Forum Presentation at Pacific Union College, October 27, 1979." "At the General Conference of 1905," by Arthur L. White. 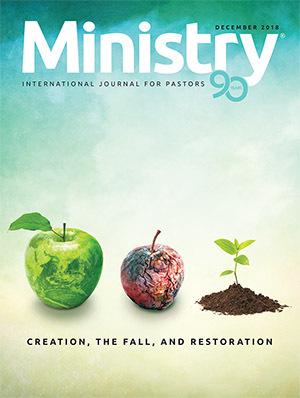 "The Integrity of the Sanctuary Truth: A Group of Ellen G. White Statements Made in 1905, 1906, and 1907 Regarding Elder A. F. Ballenger's Teachings" (MS Release # 760). 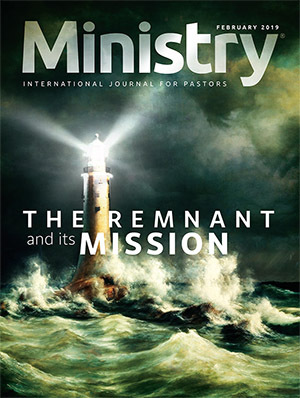 "The Investigative Judgment in the Writings of Ellen G. White," by Robert Olsen, Ministry, October/1980. Cost: $1.25 per set (includes postage and handling). Order from: Ellen G. White Estate, 6840 Eastern Avenue NW., Washington, D.C. 20012. 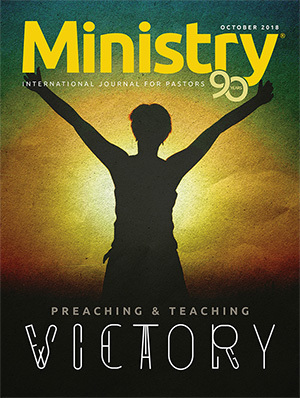 Christ's Atoning Ministry on the Cross, by Raoul Dederen, and Christ's Atoning Ministry in Heaven, by Gerhard F. Hasel (combined in single insert in January, 1978, MINISTRY). 35 cents each; ten or more, 25 cents each. Foundations of the Seventh-day Adventist Message and Mission, by P. Gerard Damsteegt (Grand Rapids, Mich.: Wm. B. Eerdmans Pub. Company, 1977). 348 pages. $7.95. "Further Comments on the Methodology Used in the Desmond Ford Manuscript," a package of research papers written by several scholars. $2.00. 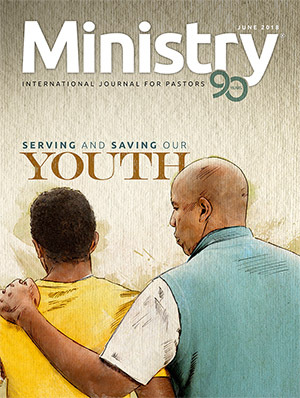 Order from: GC Ministerial/Steward ship Assn., 6840 Eastern Avenue NW., Washington, D.C. 20012. Interpreting the Book of Revelation, by Kenneth A. Strand (Ann Arbor, Mich.: Ann Arbor Publishers, 1979). $5.50 (includes postage). Perspectives in the Book of Revelation, by Kenneth A. Strand (Ann Arbor, Mich.: Ann Arbor Publishers). Inquire regarding price. Order from: Andrews University Bookstore, Andrews University, Berrien Springs, Michigan 49104. Answers to Objections, by Francis D. Nichol. Deluxe, $5.95; paper, $4.50. Believe His Prophets, by D. E. Rebok. $5.95. Biblical Meaning of History, The, by Siegfried Schwantes. $4.95. Christ in His Sanctuary, by Ellen G. White. $4.95. Christ of the Revelation, by J. R. Zurcher. $3.50. Cross and Its Shadow, The, by Stephen N. Haskell. $3.95. Daniel, by Desmond Ford. $6.96. Daniel and the Revelation, by Uriah Smith. Cloth, $3.50; paper, $2.95. Ellen G. White and Her Critics, by Francis D. Nichol. Deluxe, $5.95; paper, $4.50. In Absolute Confidence, by William G. Johnsson. $5.95. Midnight Cry, The, by Francis D. Ni chol. $4.50. Movement of Destiny, by LeRoy E. Froom. Cloth, $9.95; paper, $6.95. Origin and History of Seventh-day Adventists, by Arthur W. Spalding. 4 vols. $24.95. Our High Priest, by Edward Heppenstall. $6.95. Practical Lessons From the Experience of Israel for the Church of Today, by F. C. Gilbert. $3.95. Prophetic Faith of Our Fathers, The, by LeRoy E. Froom. 4 vols. $59.95. Ransom and Reunion, by W. D. Frazee. $4.50. Sanctuary in Scripture and History, The, ed. by A. V. Wallenkampf. (Forth coming.) Sanctuary Service, The, by M. L. Andreason. Deluxe, $5.95; paper, $4.50. Story of Daniel the Prophet, The, by Stephen N. Haskell. $3.95. Story of the Seer of Patmos, The, by Stephen N. Haskell. $3.95. Tell It to the World, by Mervyn Max well. Cloth, $6.95; paper, $4.95. Three Messages of Revelation, The, by J. N. Andrews. $3.95. Unfolding Daniel's Prophecies, by Roy Allan Anderson. $4.50. Unfolding the Revelation, by Roy Allan Anderson. $4.50. Order from: Your local Adventist Book Center.